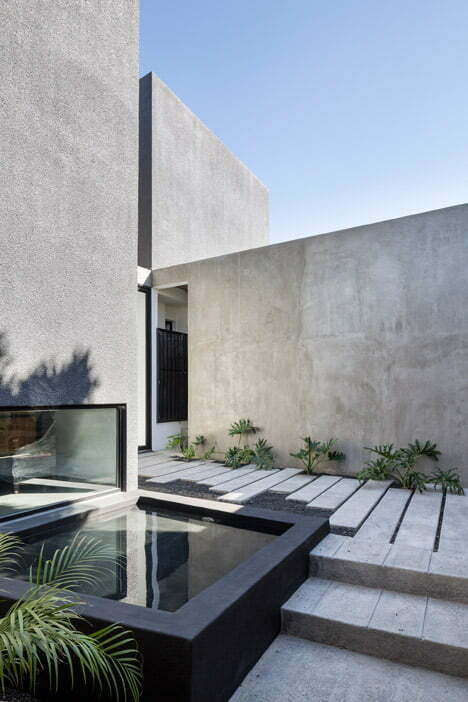 The addition of a Private Courtyard Garden, can make Black Stucco House feel spatially complex. 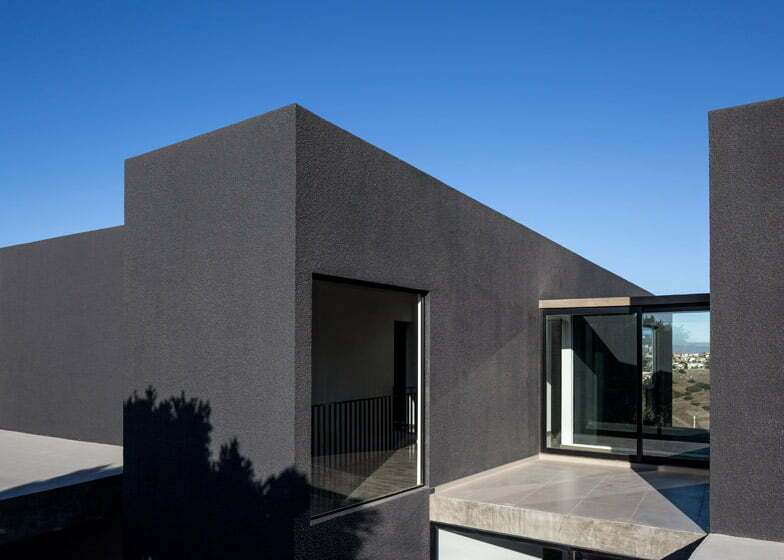 But this stucco house by New York-based architects T38 Studio, hides an enclosed private courtyard garden behind its black stucco house volumes. 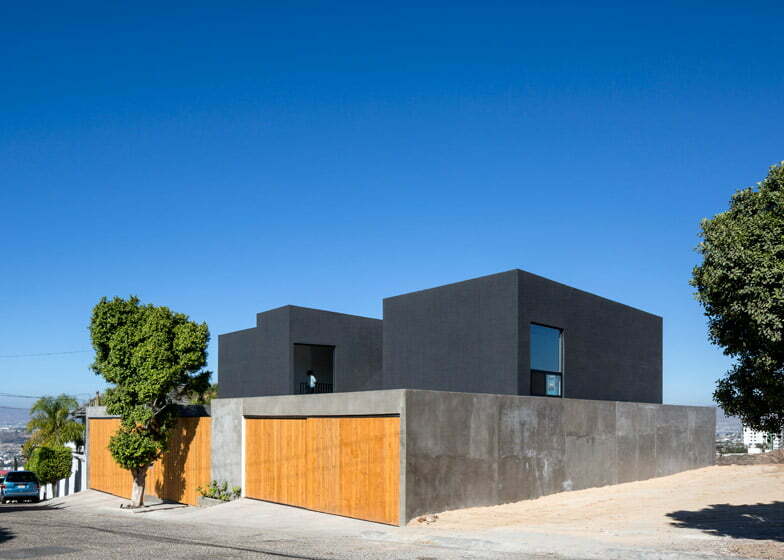 On the edge of Mexico’s border with the US, The Black Stucco house was built by Taller38, T38 Studio’s construction and development division based in Tijuana. 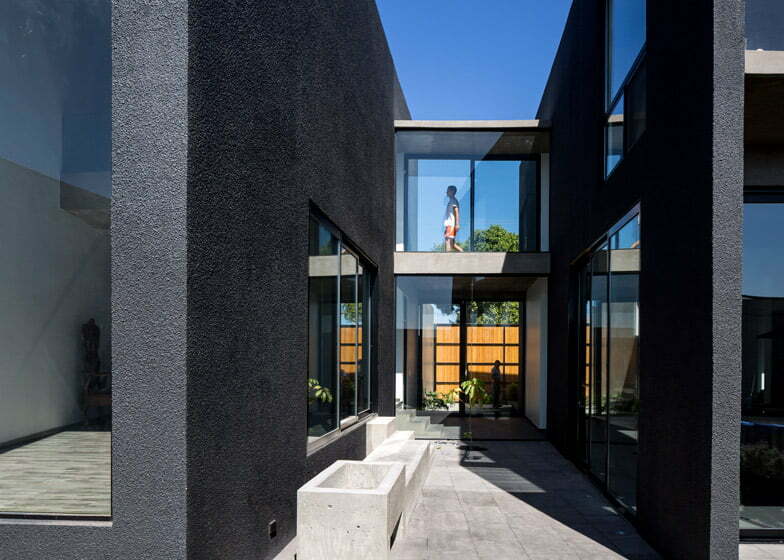 The Black Stucco House planning divided into three wedge-shaped segments joined by glass bridges, the 3,940-square-foot (366 square meter) modern house presents an opaque front to the street. 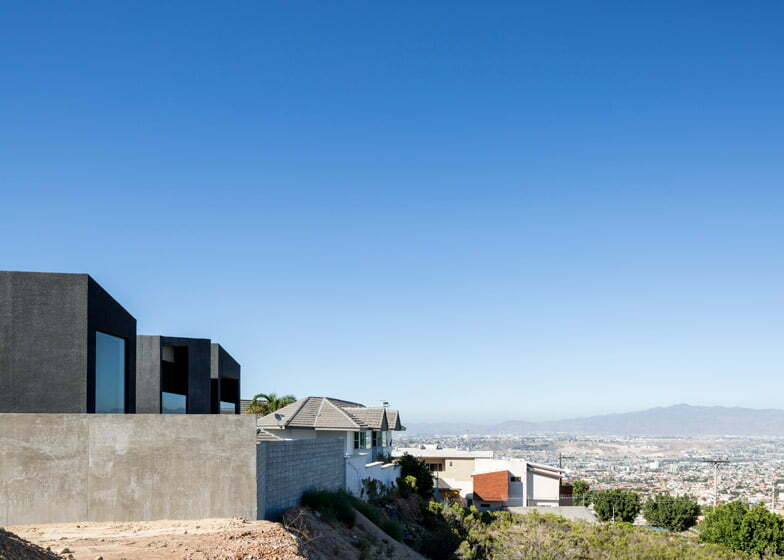 The stucco house building is sited on a hill in Tijuana, Mexico, the bustling city that abuts San Diego, California. Views out to the neighborhood can be glimpsed through the glass bridges. 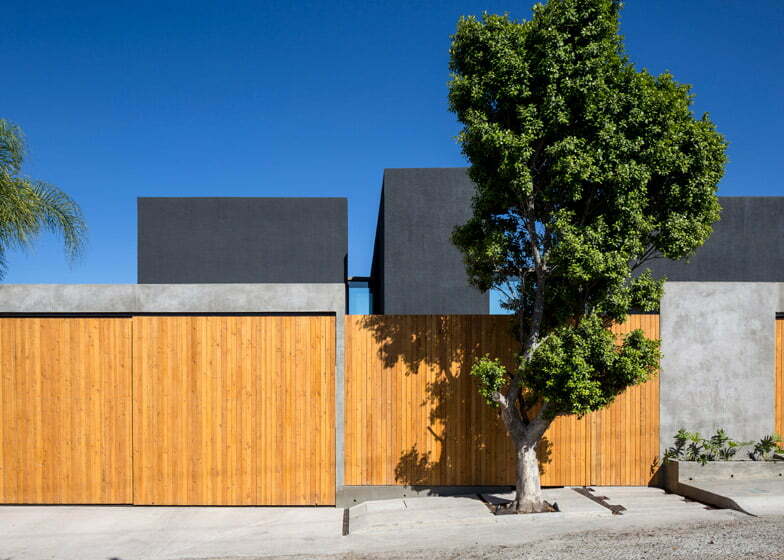 The idea was to create a strong limit with the street, and accentuate the threshold of going into the house, – T38 principal Alfonso Medina told. 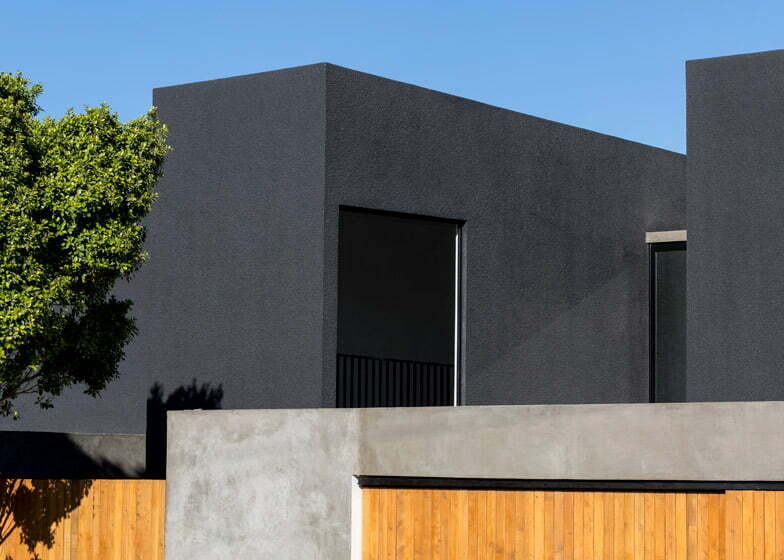 A very solid black stucco house is perceived from the outside, while inside it’s completely the opposite, most spaces open to each other. One of the volumes contains a double height living area, with a second sitting area in an open mezzanine above. 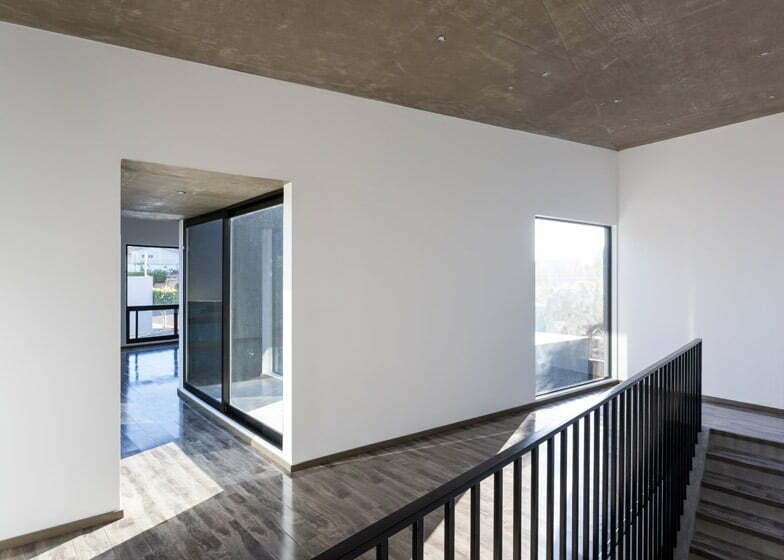 It is connected by a glass enclosed breezeway to the kitchen and dining areas, which are located in the second segment of the black stucco house. A bedroom is located above the kitchen. A Private courtyard between the living room and kitchen contains an outdoor dining area and a sculptural concrete fountain. Medina used low-cost materials throughout the stucco house project. Inside, the exposed concrete ceilings are patterned with the imprint of the plywood form-work. 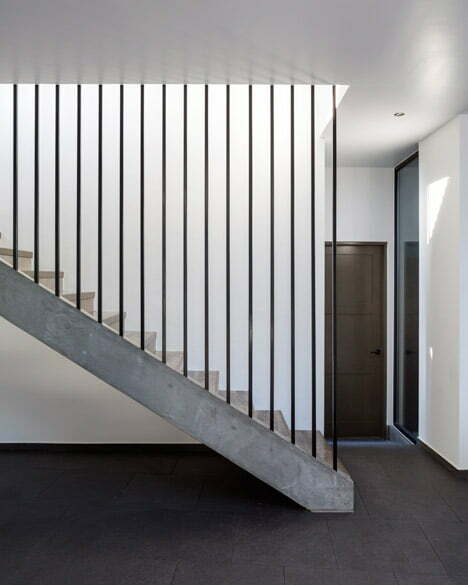 Natural light washes down the concrete staircase from a skylight above. The first and third volumes have attached garages. A small lawn backs the middle segment and a concrete wall surrounding the property, punctured by vertical slatted wooden garage doors, completes the enclosure.